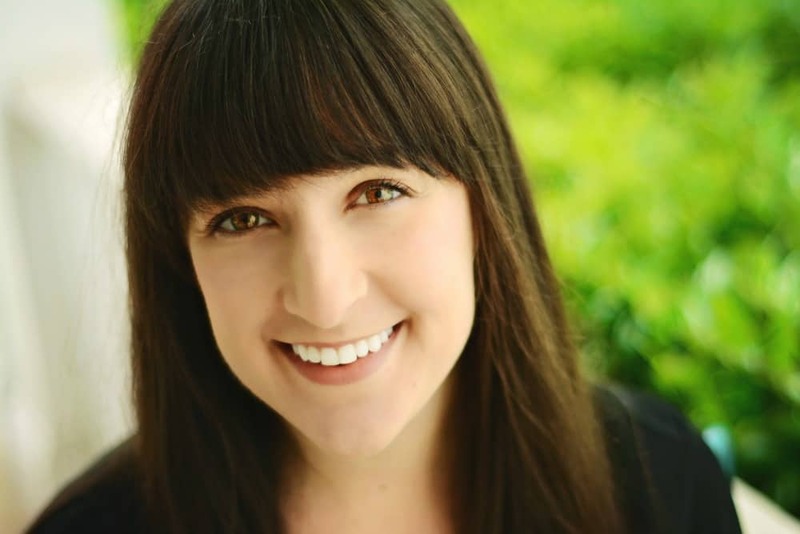 February 13, 2019 By Liz 16 Comments Note: This post may contain affiliate links. This post is sponsored by FAGE. With Valentine’s Day around the corner, can we talk about one of the foods that I love? Greek yogurt. It is always in my fridge. I thought it would be fun to show you a few of my favorite ways to use it! 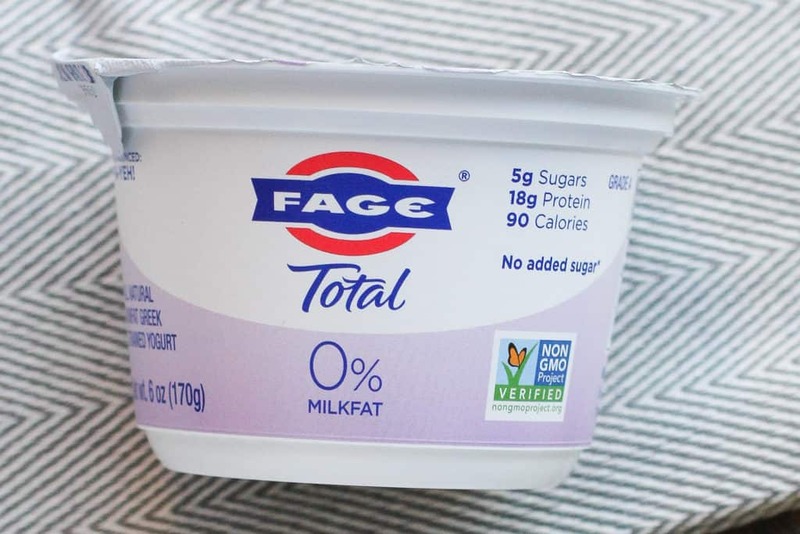 Lately, I’ve been buying FAGE Total 0% Plain Greek yogurt because it’s so versatile. (Don’t worry, I love the 2% and 5% varieties as well! 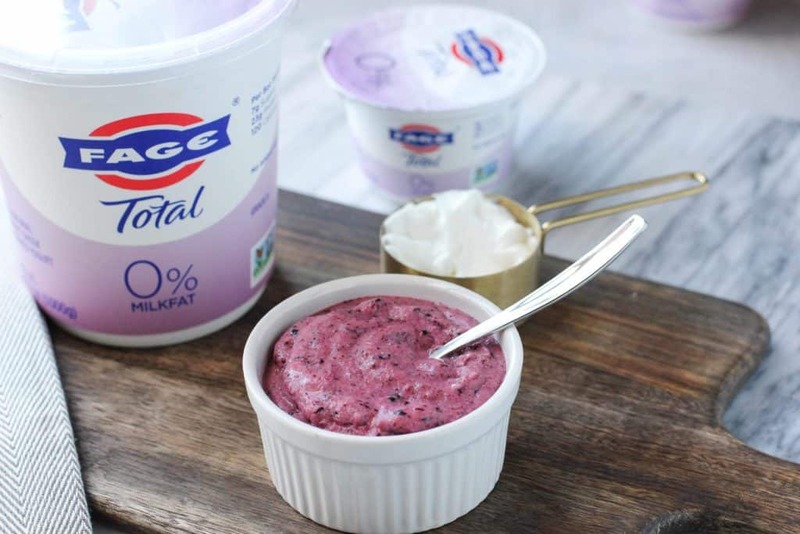 You can see how I used FAGE 2% in a bunch of different yogurt bowls here!) I’m obsessed with their yogurt because it’s so thick and creamy. FAGE is my go-to brand because it’s made with only milk and live and active cultures, which means lots of probiotics! Since there is no added sugar, it works well in sweet or savory recipes. 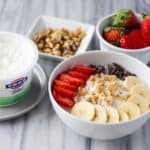 While I know yogurt is popular at breakfast, I wanted to give you a few ideas to get you thinking outside the breakfast bowl! It’s amazing how yogurt can be a base for so many different desserts, snacks, and recipes! 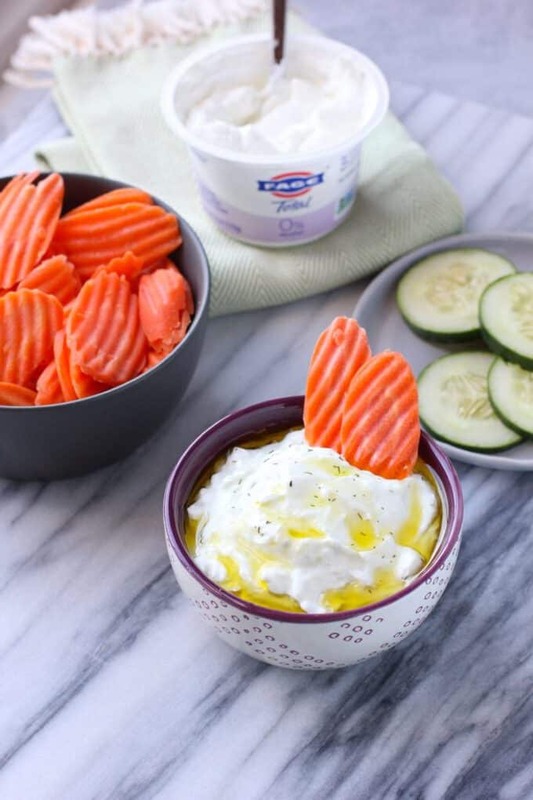 Here are a few of my favorite ways to use FAGE Total 0% Greek yogurt. I love this tzatziki sauce on top of falafel but it’s also delicious with pita chips or veggies! 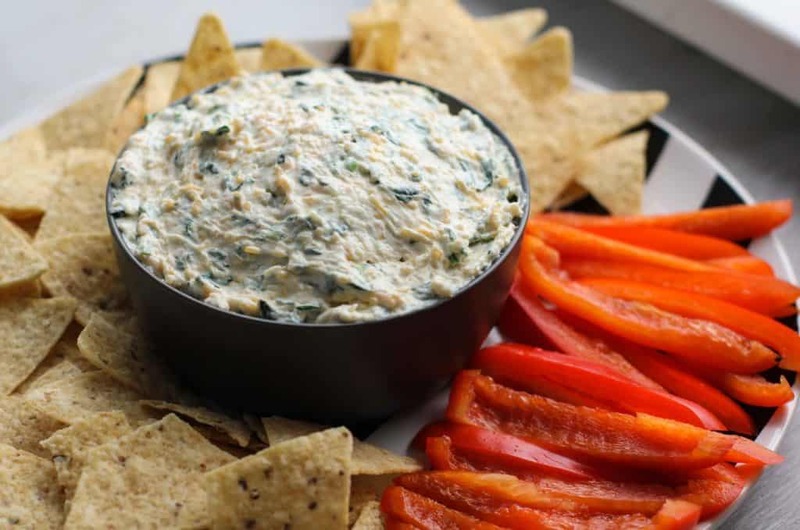 Unlike most creamy dips, this one is actually good for you. 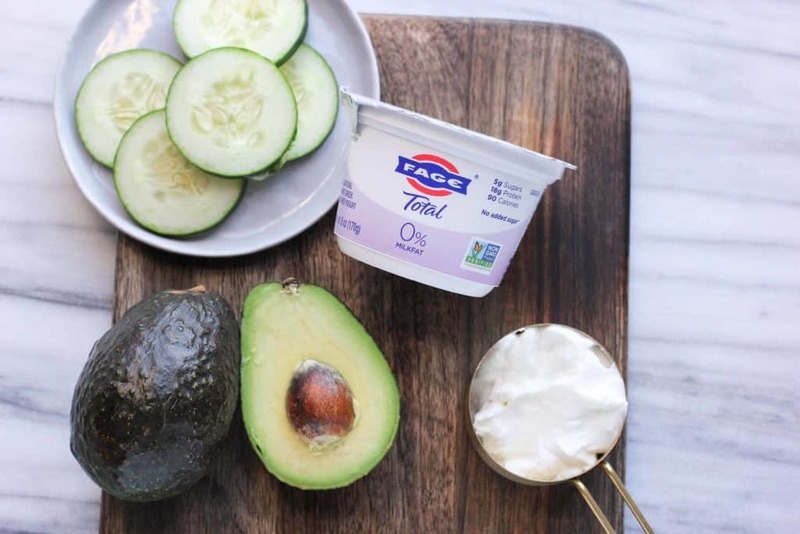 Combine FAGE, cucumber, olive oil, garlic, lemon, and dill, and you have a recipe packed with healthy ingredients. You can make it ahead of time so it’s perfect for a party! This recipe almost doesn’t count as a recipe because it’s so easy. But I love blending frozen fruit with FAGE Total 0% Plain Greek yogurt. It’s a perfect match with frozen mango, strawberries, or blueberries! It literally takes 30 seconds to make and it’s so much healthier than the frozen yogurt you can buy at the store! Not only is it lower in sugar, but it’s packed with protein! One serving of FAGE Total 0% Plain Greek yogurt is only 90 calories but it contains 18g of protein! This one probably isn’t news but that doesn’t make it any less effective. While I’m not usually a big sour-cream-on-tacos kind of girl, I do like using FAGE Total 0% Plain Greek yogurt in place of sour cream when I’m making salad dressings. For example, this Avocado Greek Yogurt Dressing is the perfect recipe when you want a creamy but healthy dressing. 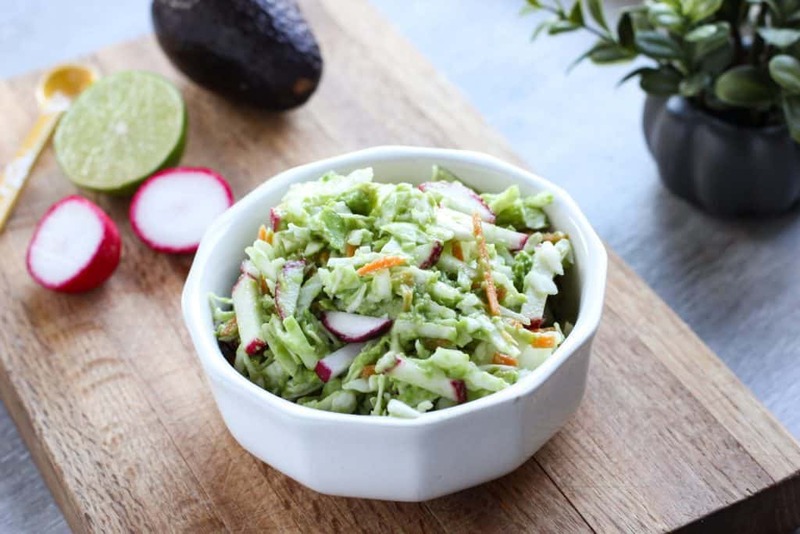 It gives your dressing the perfect amount of creamy texture and tangy flavor! Just add a squeeze of lime and some fresh cilantro! This recipe still blows my mind. 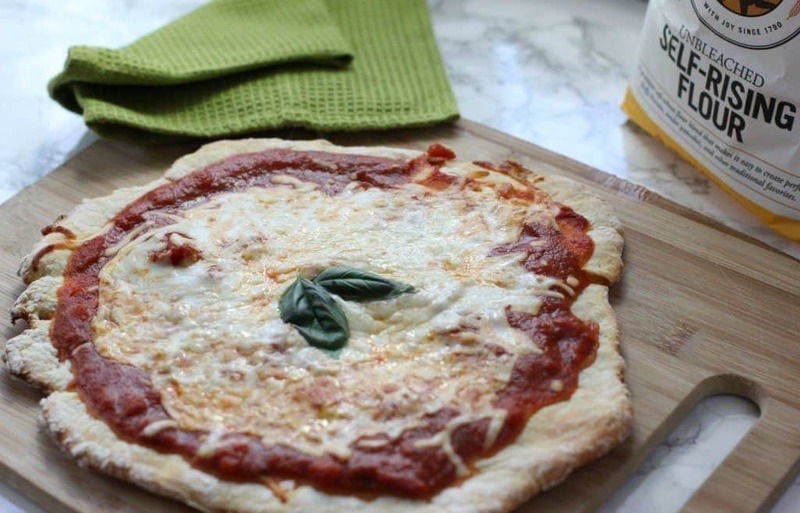 Did you know you can make pizza crust from scratch with just two ingredients? It’s TRUE. This pizza crust is great when you need to make dinner in a flash! What better way to add a little protein to your pizza? All you have to do is combine FAGE Total 0% Plain Greek yogurt with a little self-rising flour! Roll out your dough, choose your toppings, and enjoy pizza night! 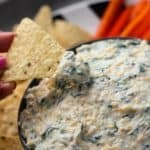 I can’t even count how many times I’ve made this spinach dip! 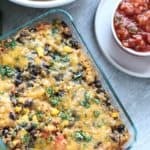 It’s another great party recipe because you can prepare it ahead of time and simply heat it up in the microwave before serving. Try serving it with bell peppers for an even lighter dish! Looking for more ideas? Try these easy yogurt bowl recipes! It’s amazing how many different toppings pair perfectly with the rich and creamy yogurt! FAGE 0% Greek Yogurt is also Non-GMO Project Verified which means it’s truly all-natural Greek yogurt. Keep a carton in your fridge and embrace the recipe possibilities! What’s your favorite way to use Greek yogurt? Will try to remember all these hints! Great way to substitute for other fats and other dishes! Such great ideas. I’m especially intrigued by the pizza crust! I would have never thought to do that. 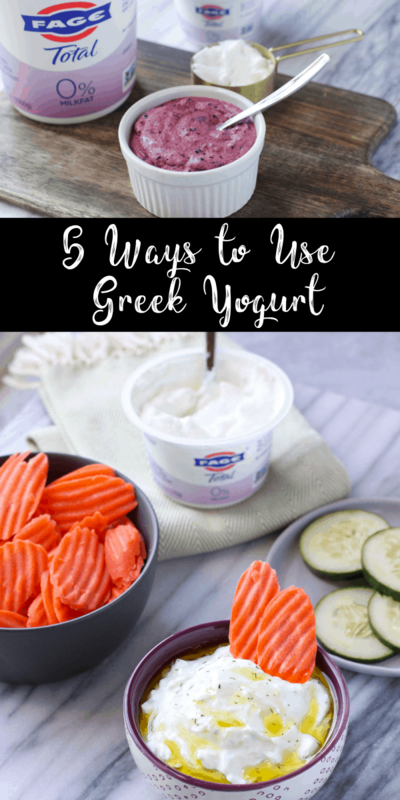 These are all fantastic ways to use greek yogurt!!! i am intrigued by that pizza crust!! i had not idea – i totally need to try it. great ideas here! OH my gosh, Fage is my favorite and these ideas are prefect. Some great ideas here – especially the pizza crust! I can imagine that you could make also fluffy and light pancakes or waffles with this Greek yogurt. That greek yogurt spinach deep looks so good, I can’t wait to try it! Is it possible to have too much Greek yogurt in one day? Because I want to try all of these immediately! 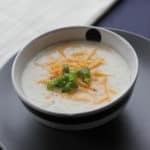 Such a great collection of easy yogurt recipes! I love using it as a salad dressing, but will be sure to try out some of the other recipes! Wow! I am totally trying the pizza crust! How fun is that! Thanks for sharing this fun post! Love using it as a sour cream substitute, but never knew I could use it in pizza crust! That’s amazing!